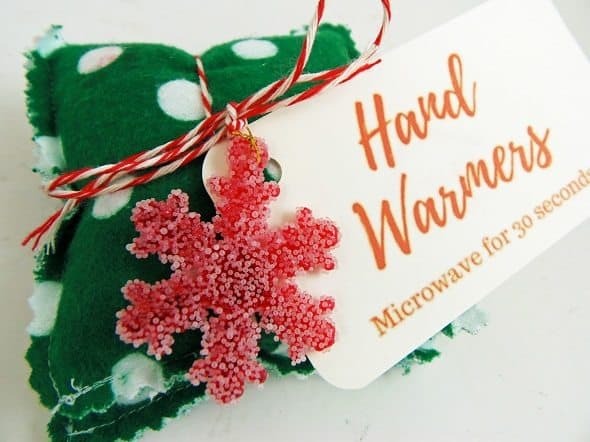 Use some of your fabric scraps to make these hand warmers. 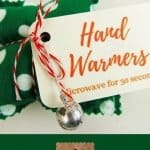 They’re a quick and easy project, and make a great gift. Be sure to use 100% cotton fabric and thread. Polyester and other synthetics might melt, or even catch fire, in the microwave. I used white rice as the filler for my hand warmers because it isn’t likely to go rancid, and feels nice in the warmers. Some people prefer to use flaxseed in their warmers because it stays warm longer. Since it doesn’t have a very long shelf life, I felt white rice was a better choice. 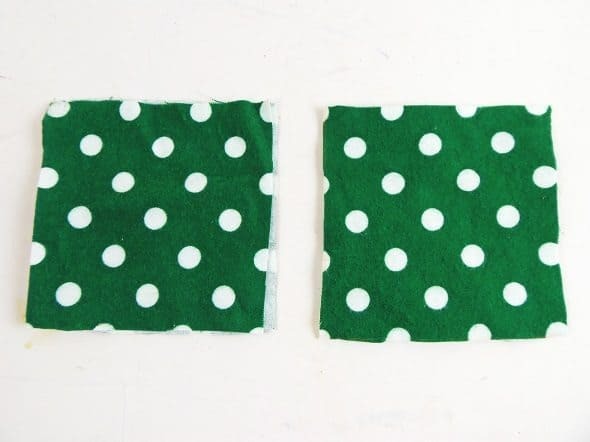 Cut out four 4″ x 4″ squares of fabric. Place two squares on top of each other, good sides facing out. Repeat with the other two squares. 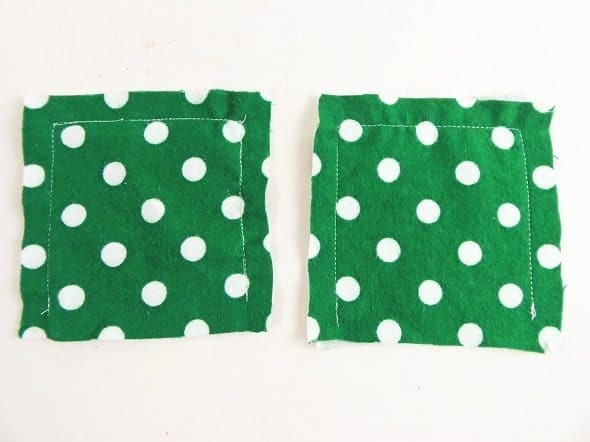 Then, sew around three sides of the squares. 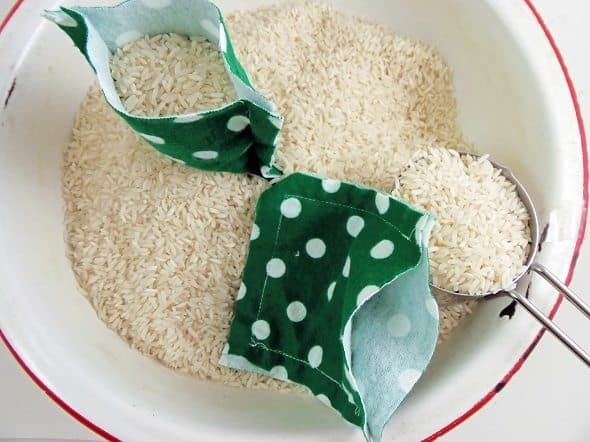 Fill the warmers with rice. 1/2 cup of rice in each is about right. Use a pair of pinking shears to dress up the edges. This will keep the fabric from fraying. 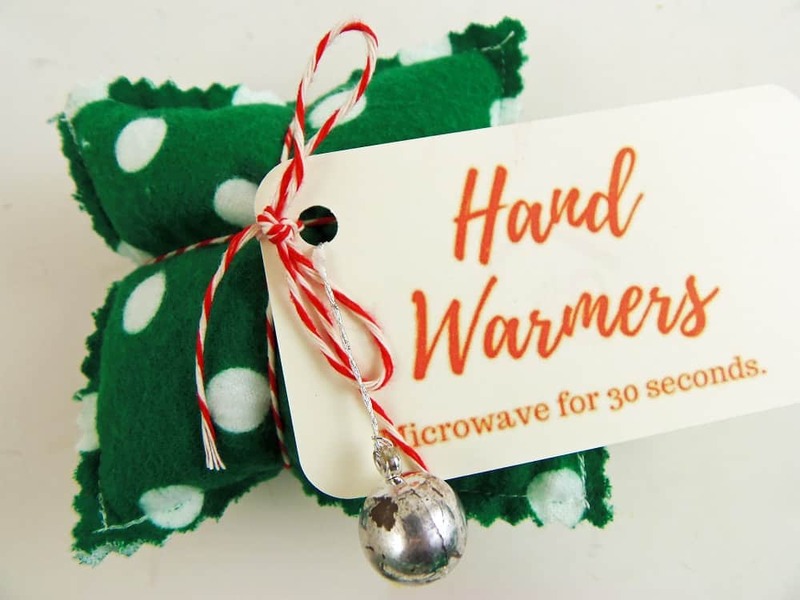 To Use: Simply microwave your hand warmers for 30 seconds, and enjoy! They’ll stay warm for at least 15-20 minutes, which is plenty of time to walk the dog, take care of some outdoor chores or wait for the school bus to come. I plan to give a bunch of these for Christmas gifts, so I dressed them up with a tag and a miniature ornament. I just used some of that print-your-own business card stock with the clean edges to make the tags. Easy! 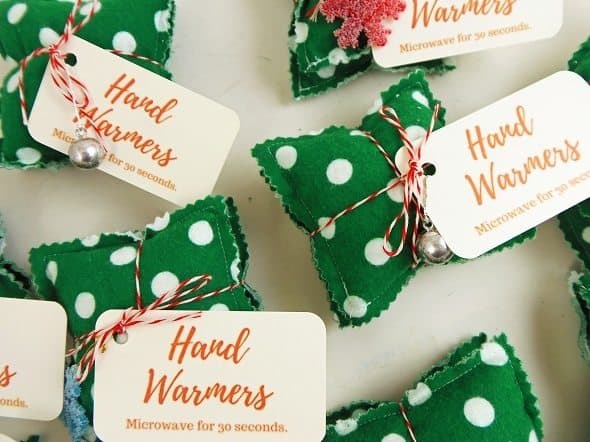 I was able to make a dozen sets of hand warmers in just a few hours. Want me to make some for you? 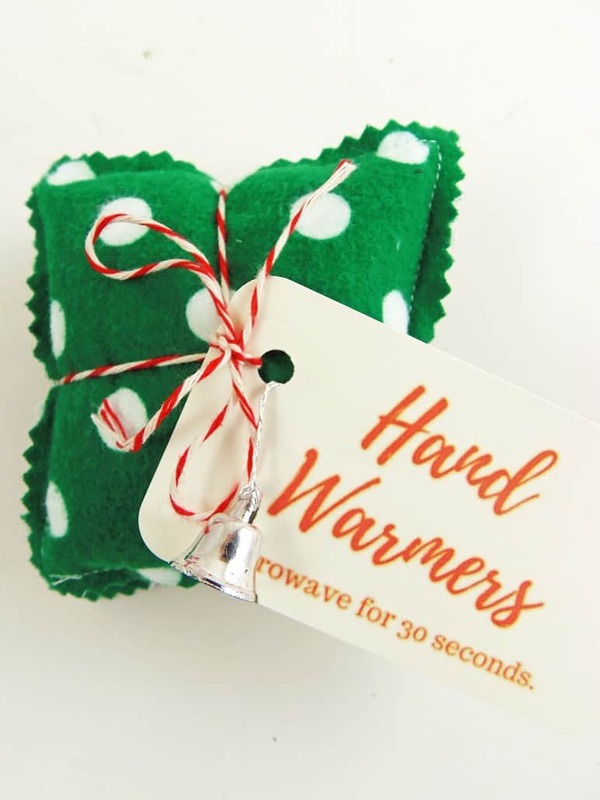 You can order these microwaveable hand warmers over in my shop. Nice idea. 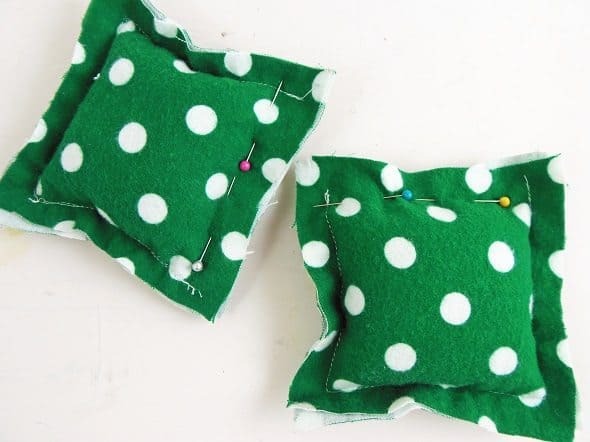 Another way to use up my scraps of fabric and make something I can add to my gift list. I’ll be coming up with more scrap buster projects. I have a huge bin of fabric scraps to use up. I made some bigger shapes last year using cotton flannel. 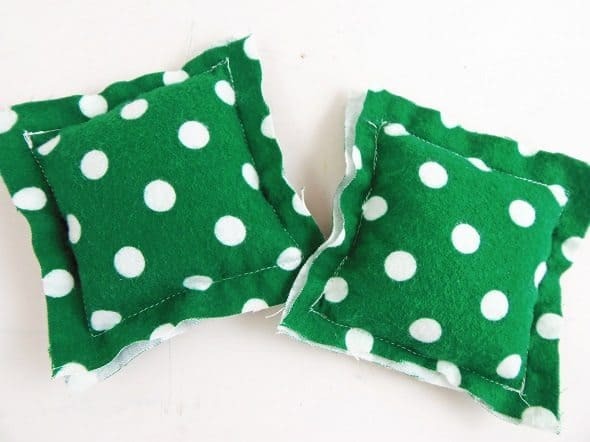 When I over did things in the garden in the spring, I would sit in my chair with a pouch sandwiched between my back and the chair with a glass of wine in hand. It helped tons! 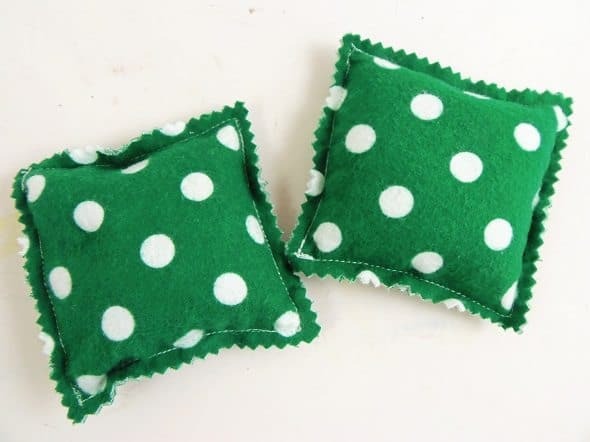 The bigger pouches can also be used as bed/toe warmers at night. If you over heat the pouch, just wrap it in a towel. One last use: my cat Lucy was old and had very little body fat so she was always cold. Before going to bed, I would heat up a big pouch and put it under the Afghan that she liked to sleep on. She would settle on the blanket and just purr!